####We are looking for a real staging-environment solution for agencies with Cloudways-Apps/Server. Thats it. But this is not a staging-environment like promised! «Staging Environment» our approach and what is your approach for? Error/deleted messages in community.cloudways.com plattform? Let's Encrypt SSL Certification possible server wide? ###We would be very happy if other agencies could share their solution: How to create a real staging area with Cloudways tools? Or any Idea for? Please share if you found a solution for real and repetitive staging-process/environment with Cloudways-Server! ###How do other agencies do this? ###Then sync all of this with live-system! That’s a usable staging-environment. All other stuff is only Clone! ###How do you prevent to deliver visitors of live-website ugly SSL-Cert-errors? ###And even more importantly: How do you manage this without going offline with live-site? Thanks for such a detailed feedback. I will have to say that pushing changes from dev to live via Cloudways takes some manual work, but creating clones and staging sites of the live sites is very easy using the Clone feature. 2- Make the changes in the dev site. 3- Once done - point the domain to the dev site and move the SSL certificate. For Agencies, our “Transfer server” feature is also popular if agencies want to move complete ownership of the website and the server to their client. Will do also a feedback if I understand your advice. ###How you can do «step 3» of «Process 1» and «Process 2» without destroying the real sense of staging? Please could you explain to me? ###How can I prevent interruptions from live-site (go offline) and error messages from SSL-cert while I do step 3 for both of your Processes? I just can’t do it without. At least not if I think it through! I would love to understand and use it that way. Could you explain to me, so I can understand the magic or can figure out which step I have misunderstood and how I can do it the right way? I completely agree with Martin on this. The Cloudways approach is better than nothing, but it feels like a workaround, not like a real solution. Especially when SSL certificates are involved, and you’re dealing with a wordpress site and all the urls are absolute. A real staging tool, that creates a staging copy (not just a clone), and that allows you to select what files and what database entries are synced, would add tremendous value. And it would keep Cloudways competitive with the hosts that offer this kind of service. I still hope I misunderstood something fundamentally and Ahan’s step 3 is possible without interruption and/or error message. if two apps could somehow have, or could point to the same primary domain and SSL certificates. There would be the possibility to switch back and forth without live-site visitor noticing an interruption and set the App related to the real domain www.website.com. And some switch-possibility between would made available. But even for an absolutely minimal staging-environment, interruptions in live-page or error-messages for already published live-pages are simply impossible. “that simply doesn’t exist in Cloudways-System”. ###But the Advertising on website remains and is seductive, even it’s only because of an ingenious marketing concept from an overeager PR-Specialist. But again: I hope I misunderstood something fundamentally and Ahan’s step 3 is possible without interruption and/or error message. Will wait for the way I have to do. And I’m really Interested in how others do it! Please share experiences and solutions. This issue if solved would really add value to the Cloudways offer. But not in its current form offered. The advertising is misleading. Currently, the clone method is long-winded and incurs extra cost which a lot of other hosting companies do not charge for. Since, the staging server is not a ‘live’ server but a testbed server. Currently, I clone my live server to act as my staging server using a lower priced cloud provider to save $$$. I use (PC) host files and switch them depending on which server I am going to use - live or test. This saves having to have a different URL for the site. But with it comes the issue of SSL, since my site is https. The SSL certifcate for the test/staging server keeps on running out which means I have to keep requesting this to be fixed via Cloudways support. So, a true staging solution would be very helpful especially if it is part of a package and not charged or the pricing is discounted where it is verified as a staging server. I definitely agree that we need real staging solution build into cloudways. Would make life a lot easier and development a lot faster as well. But until then, some of you might find migrate-db-pro and/or mergebot plugin by deliciousbrains helpful. Haven’t used it myself, since i mostly do smaller sites where it isn’t a big issue if a site goes down for a couple minutes. But i have heard great things about the both. I’m in no way affiliated to them. & they are quite expensive but i just thought it might help some of you. A solid staging environment needs the ability to push-pull certain aspects of the site. If you are working on an e-commerce site, you can’t make a staging copy and then go live several days (or even hours) later with the copy because you’ll loose all of your orders that have happened in that time. So you need to be able to push just certain tables and certain folders over. Copy your database from one WordPress install to another with one click in your dashboard. 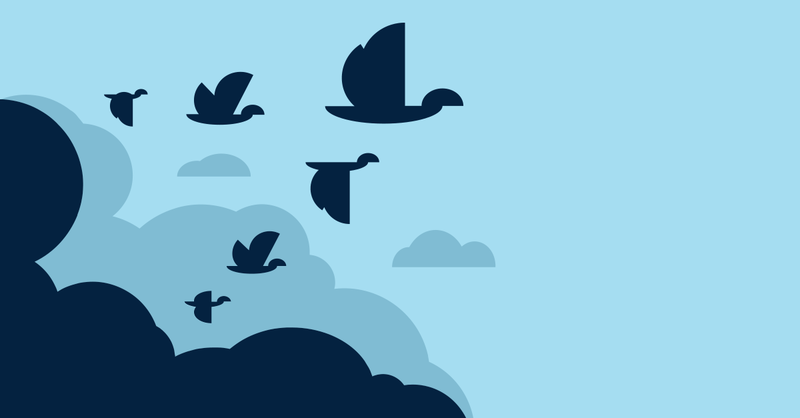 Stop wasting time on migrations. Watch a full demo. BackupBuddy has this functionality but I have trouble getting it to work. Too many errors. The plugin solution looks pretty good as a workaround, but is pretty expensive. I’d like to urge Cloudways to make it a priority to develop a world-class staging solution. But I’d settle for an adequate one! I couldn’t agree more, this is becoming increasingly frustrating trying to manage a staging environment on cloudways. If anyone from the dev team is listening, please make this a priority. thank you for share your solution. Your recommended plugin could be a workaround for the still promised but until now not redeemed possibilities of Cloudways, If the world would consist of Wordpress only . Nonetheless our agency is certainly (or at least I hope so) not the only one at Cloudways, whose world is not only made up of Wordpress. Obviously you are right, no matter which CMS is used: some applications require a fine adjustment of what tables and folders should be synced. So, of course, it would be more than welcome to get a fine-tuned staging tool. But in the current situation we would be happy to use a rudimentary real staging tool (at least). A staging tool that supports basic “real staging”-features and does a little justice to the name. Not the cloning feature, which is simply beautified with a new name and advertised twice. Anything additional would be most welcome! Both sites are on Cloudways - test and live. The test has a different IP and is not ‘live’. So, no DNS resolves to the IP. This small tray icon utility takes care about your host files, so developer can easily switch between QA, production and local environment. You then simply switch host files using this tool. Use incognito mode in chrome to access the site, making sure the correct IP is resolved on your test site. Also to view changes you make. Make sure no caching is used on your test server too. The problem, I have is the SSL certificate on the test server. It needs to be added by Cloudways support because, you cannot add an SSL to the test server - so I have been told by support. The test server is the lowest cost server I can use on Cloudways. I don’t know why our two messages were deleted. Hope maybe your shared approach with Hosts Switcher can help others ! I’ve been waiting for a real staging environment as well. So far I’ve spent the last year developing the site so this has not been a problem yet. Cloning and switching live e-commerce sites is not a workflow that works. Period. I’ve still got a couple of months left until we go live. If this solution remains at that time, we’re moving away from Cloundway. As much as I don’t really want to, I see no other viable solution at this stage. Has there been any progress on this? Is Cloudways making it a priority? I’m developing a site for someone else and wanted to use cloudways, but the lack of staging features made it impractical. We were forced to use a different host. What is the process the other host is using for the staging environment? What all these solutions seem to have in common is that they sync in both directions. They don’t just provide a clone of your live site, but they allow you to selectively sync your changes back to the live site after testing, often with a merge feature that keeps you from overwriting new database entries. The better ones include tools that specifically prevent problems with SSL conflicts, caching, etc. None of them requires you to replace your production site and point your DNS to the new site, or perform other clunky workarounds. Hi, I am quite frustrated at the lack of a true staging solution as well. Are there any progress on this front?